Legacy Mountain Ziplines in Pigeon Forge provides some of the most remarkable views The Great Smoky Mountain National Park has to offer. If you are the type of person who thrives off of adventure and loves remarkable views then look no further than Legacy Mountain Ziplines in Pigeon Forge. 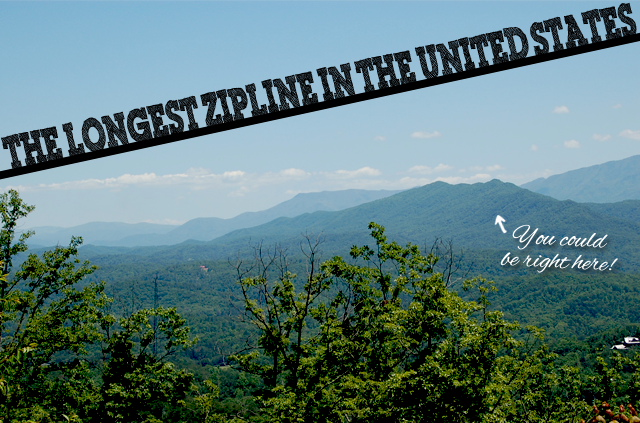 They are the first eco-friendly zipline adventure available in the Great Smoky Mountains area. The zip lines have direct views of the historical Pinnacle & majestic Mt LeConte mountains. 4.5 miles of ziplines, 450 ft off the ground! If you are staying in Legacy Mountain Resort, ask for Sherry. She will give you $20.00 off! This entry was posted in Attractions and tagged Great Smoky Mountains National Park, historical Pinnacle, legacy Mountain, Mt LeConte mountains, Park, Pinnacle, Sevierville TN, Zip-line. Bookmark the permalink.